Movie Magic! Our latest newsletter listed the top 5 best selling products in action, to illustrate their many uses and why they are such customer favourites. The most recent Sticky Roller Brush movie, was sent in by some budding young movie-makers… and we think it’s brilliant (far better than ours in fact!) 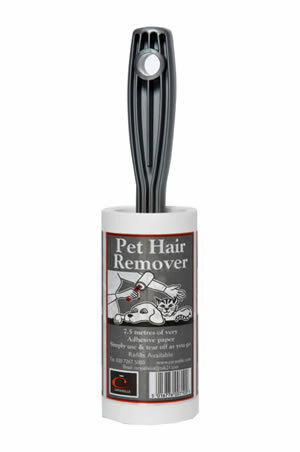 It illustrates perfectly the many uses of this Best Selling Pet Hair Remover. If you find our movies useful please give us your feedback and if you want to create your own product movie, please send it in to us… who knows, we may not have to do our own any more! …how economical they are – if you buy a cheap one you may soon realise that it’s a false economy when you come to the end of the roller. The handle won’t be removable and you have to throw out the complete product and start again. If you get one with a removable handle you can buy refills in future, which saves you a lot of money in the longer term and saves the environment too! …the refills last for ages because they contain 7.5 metres (approx. 25 ft) of very adhesive paper, but when you do need a refill, we offer amazing multipack discounts of up to 50% off!! Need more proof? Check out the video! The strength of a Garment Rail is one of the most important things to think about when buying a rail. You need to be able to hang lots of clothes, including heavy coats and also possibly shoes in shoe hangers. But that isn’t the only criteria, not only do you want a heavy duty clothes rail that will last a long time, it needs to be adaptable for your changing needs, which is why many of our rails can now be purchased with Height Extension Pieces and adjustable Centre Rail, thus allowing you to double your hanging space! See “How can you get the most out of your Garment Rail?” for more information. These are an invaluable product for easy identification and access of shoes. They stack neatly, are strong and durable and available for bags, boots and both mens and womens shoes. The very best quality manufactured in the UK exclusively for Caraselle Direct. Larger & stronger than many others. Mix your coloured and white clothes together without having to worry about the colours running. Fewer washes and no more separating clothes will save you time and money! Removes loose dye from the wash, eliminates the risk of colour runs ruining clothes, allows mixed wash – wash with confidence, reduces the number of washes and effective even at 30c! Professional quality Mini Straightening Irons with a free Heat Resistant Zip-Up Travel Pouch. Great for curling hair too and small enough for your handbag! In Pink and Black.